It’s important to maintain good oral hygiene to avoid dental issues such as sensitive teeth. If you start to experience sensitivity in your teeth, you should speak with your dentist. While treating sensitive teeth can be a costly endeavor, fortunately, there are some budget-friendly methods to relieve the pain and care for your teeth at home. Investing in and maintaining a healthy diet is an easy preventative measure against sensitive teeth and can help lessen the pain associated with sensitive teeth. Certain types of foods can actually help remineralize the enamel of your teeth. Minerals in your food can strengthen the surfaces of your teeth leading to less sensitivity. One of the most important minerals for boosting enamel is vitamin K. Consider adding high-protein foods, such as poultry, fish, and eggs to your diet. The phosphorous in these types of foods can remineralize your teeth and enhance their durability. Foods that are high in calcium, such as milk and cheese, can also help strengthen your teeth and the surrounding bone. Tea, which contains fluoride, is another natural option for maintaining healthy teeth. 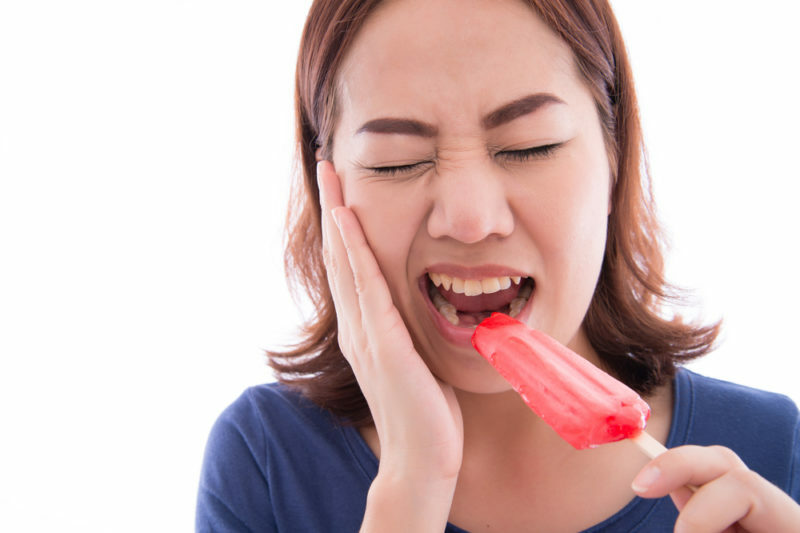 The main cause of tooth sensitivity is exposed nerves resulting from eroded enamel and receding gums. While not a long term solution, chewing sugarless gum produces more saliva, which can help strengthen tooth enamel. You should only chew sugarless gum as sugar can lead to further tooth decay and sensitivity. Some toothpastes are specially designed to prevent and repair sensitive teeth. These toothpastes have an anti-sensitivity active ingredient which helps to alleviate pain and strengthen teeth. You should speak with your dentist for recommendations, but make sure you bush twice a day with a soft bristle toothbrush. Though these home remedies are useful and cost-efficient, it is important that you visit your dentist as soon as you start to notice sensitivity in your teeth. They will be able to best diagnose your sensitivity and advice you on the best course of treatment.